It was on April 1, 1970, April Fool’s Day, when my life completely changed and I was then about to turn to the age of 18 years old. I entered the Philippine Military Academy, leaving my ambition to become a doctor from the University of the Philippines, to become a future officer of the Armed Forces of the Philippines. During the first two months of “Beast Barracks” (soldier’s training from civilian life), all of us would wake up every morning to run in formation for 5 kilometers or 30+ minutes after we have done repetitions of the “Army Dozen” Exercises. (Note: You can google “Army Dozen” Exercises to find out how the workout is done). I did not have any problems with those early morning exercise routines during the early months of my cadet hood. However, there is a very famous running loop inside Fort Gregorio del Pilar/Philippine Military Academy Compound in Loakan, Baguio City which starts at the Sun Dial/Fountain that goes south to the Jurado Hall or swimming pool area and goes north passing through the left side of the Borromeo Field/Grandstand passing by the Kitchen of the Cadet’s Mess Hall and following the road that goes to the Gate of the Camp and then going back to Melchor Hall by passing the Nakar Hall, Chapel, PMA Hospital and then back to the Sun Dial/Fountain. We were told when we were cadets that the loop has a distance of 5 Kilometers. When I was a “plebe” (first year cadet/fourth classman), I was a member of our Company’s Cross Country Running Team and we would run that loop every other day and that would serve as our training for the incoming Cross Country Event in our Cadet’s Intramurals. I did not have any records on how fast I could complete the loop during my cadet days. For three years as an upperclass cadet, I’ve been running on the said loop on a regular basis, at least, three times a week. I would run through the loop almost everyday when I was already a Major when I was assigned as a Tactical Officer and a member of the Academy Staff in the mid-80s but I would not recall how fast I could run the said loop. I would neither dare to run the same loop for the second time in a single workout. I would rather choose to run longer by going out of the Gate of the Camp towards the direction going to City Proper and then back to the Camp or simply run and go back to my quarters at the Navy Base in Baguio City after office hours! 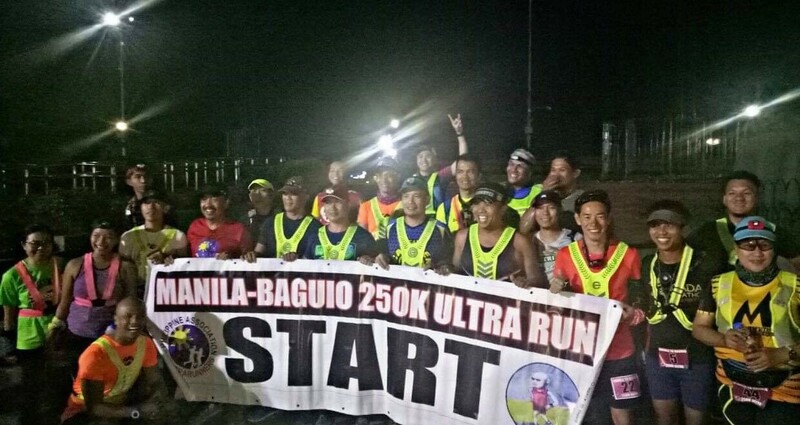 Last month, I was able to go to Baguio City to monitor the progress of the training/preparation of Marcelo & Gerald with regards to their participation in the incoming 2013 Vibram Hongkong 100K Trail Run. I stayed at Nakar Hall, inside PMA Compound, during the duration of my stay in Baguio City. On my first day in the camp, I tried to reminisce those days when I was a cadet and an officer assigned at the PMA by running along the 5-Kilometer Loop. I started my run in front of the Nakar Hall and went to the direction going to the Chapel and descended towards the Officers Quarters Lane and turned right towards the road that leads to the back of the new Academy Administration Building. I went to the “Slope” and had my picture taken with Mt Santo Tomas-Mt Cabuyao Range as my background by one of the cadets who took his time and attempts to guess what PMA Class I belong. From Jurado Hall, it was an easy run to the Gate of the Camp and I did not have any walking breaks as I “attacked” the once dreaded “Cardiac Hill” where the monument of General Del Pilar is located. As I finished in front of the Nakar Hall, my Garmin Watch would register a distance of 4.88 Kilometers! I was surprised! The loop lacks some meters to make it a 5K distance even if I took an extra distance by taking the road that goes to the back of the new Administration Building. I was not happy with the result of my run. I need to find an extra distance to make the loop as 5K distance. So, I started to run again by taking the same direction with my first loop. Before I reached Jurado Hall, I decided to go down to the PMA Shooting/Firing Range which is located behind Jurado Hall. It is a descending road all the way to the shooting range and I knew I would be forced to have my walking breaks as I go back to Jurado Hall. But on the contrary, I managed to continuously jog all the way back in front of Jurado Hall. I was breathing heavily and I was surprised of what I’ve done! I continued my run to the Gate of the Camp and then completing my second loop in front of the Nakar Hall. I got what I wanted as I registered a 5K distance for my 2nd loop plus some hundreds of meters as bonus. I ran an extra one kilometer plus some extra meters for my cool-down run to complete a distance of 12 kilometers as my total mileage for the day. I have proven three (3) important things in this run. First, the PMA 5K Loop is not accurate as I found later that it was measured on those days by the kilometer reading/odometer of one of the vehicles of the Command. Second, it was my first time to experience running two loops inside PMA in a relax mode where I registered a time of 1:20+ hours for the 12K workout. Third, I may not be as fast as I was a cadet or a Major on this loop but I could be as strong and even a smarter runner at the age of 60 years old! Hopefully, I would be back again to the hallowed grounds of my Alma Mater every year to run more 5K loops and be able to reminisce those days of cadethood and service to the country. This race was named after the late “General Ernesto Gidaya” who was once a Superintendent of PMA in the early ’70s, later became the Ambassador to Israel during the Marcos Administration and lately as a Member of the House of Representatives, representing the Party Lists’ Veterans Freedom Party before he died two years ago. 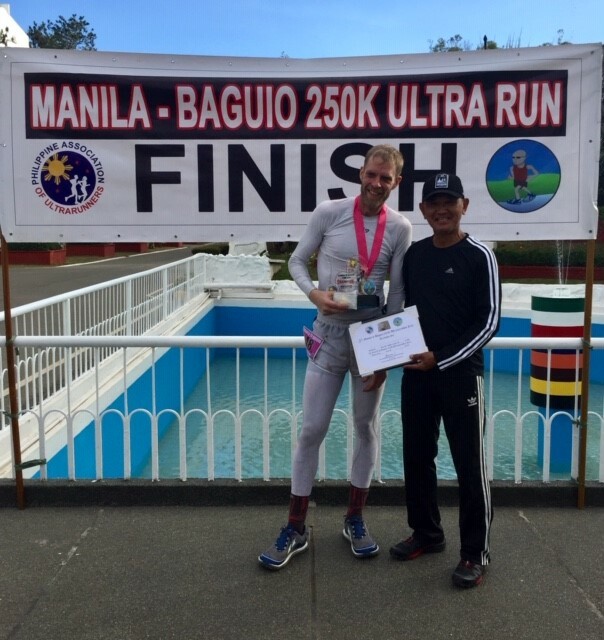 The longest course (for 29 years and below) has an estimated distance of 12K where Km # 7 is along the Baguio Airstrip; Km # 9 to Km # 11 is the “killer mountain trail”; and the rest is downhill from the PMA Chapel and flat terrain up to the finish line. The other courses (for 30-39 years old and 40-49 years old) are estimated to have 10K and 7K distances, respectively. Since I belong to the 50 and above years old category, I will join the shorter race which is about 3K distance. The course starts with a short flat route of about 500-600 meters from the Air Control Tower of Baguio Airport then crossing the airstrip towards the mountain, south of the airstrip. When I was a cadet, this “mountain trail” from the airstrip to the PMA Chapel was a “killer” one and I could remember that I had overtaken a number of my running rivals on this part of the course when I was a member of the Marathon Team of “Charlie” Company during my early “plebe” year. I could not remember when this road race (Gidaya Run) had started and I got the information about this run last year from my brother. Last year, my brother, Samuel, placed 1st Runner-Up (2nd Place) in the 50 years and above category. The Assistant Superintendent of PMA (who was then a Brigadier General and now a newly-promoted Major General of the Philippine Air Force) won the Championship for the 50+ Age Category last year. This will be my first time to participate in the Gidaya Run and I am aiming for the Championship Trophy in my Age Category! My brother, Samuel, is a “devotee” to this event and never missed this event during the Annual Alumni Homecoming of PMA. He had been a consistent top winner in his Age Category. 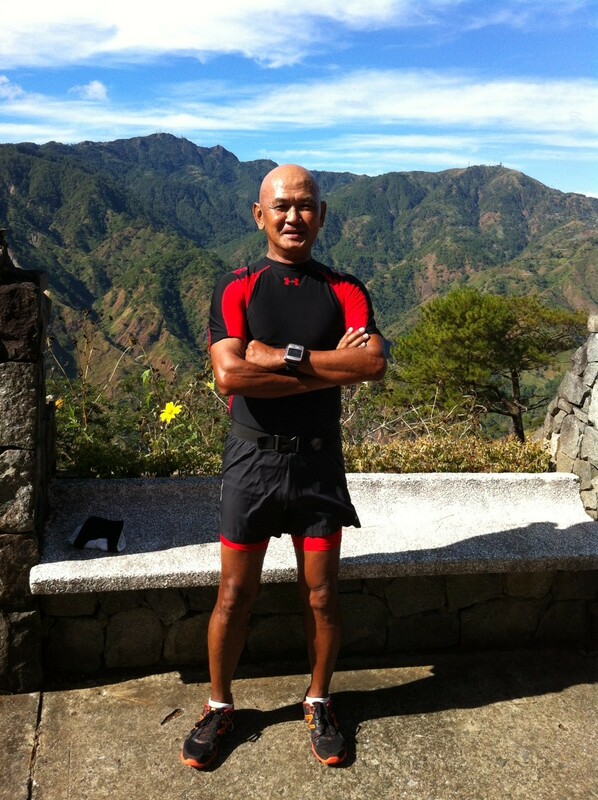 He participated the Gidaya Run and PMA Triathlon last year. The event starts with a 30-lap swim at the PMA 25-meter swimming pool; mountain/race bike ride 3x along the PMA Swimming Pool area-PMA Gate Checkpoint-and back to Swimming Pool area loop; and running along the said loop which has a distance of 5 kilometers. Civilian Guest Runners and Triathletes (except our National & Elite Athletes) are encouraged to join these events. You are considered as “Special Guests” of Bald Runner, PMA Class 1975! See you in PMA, Fort Del Pilar, Baguio City on the 15th of February 2008!